Expressing concern over a private school denying admission to a child under EWS category, the Delhi Commission for Protection of Child Rights (DCPCR) asked the school to admit the student and submit a compliance report by February 13. Issuing a notice to PP International School, DCPCR said it had denied the child admission in the 2017-18 session due to “mismatch between online details and documentary evidence”, and “doubts over the authenticity of the income certificate submitted”. As per the commission, the child had been allotted a seat before his parents changed his name. When he went to school to get admission, he was told the documents did not match. DCPCR said the parents had issued an ad declaring the change. “They gave the corrected birth certificate and filed an affidavit,” DCPCR member Anurag Kundu said. 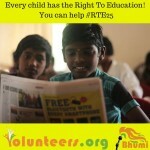 However, Section 15 of the RTE Act, 2009, states that a child cannot be denied admission over lack of documents. “As per the RTE, a simple declaration of the child’s age by parent is sufficient proof for admission,” Kundu said. The commission also raised objections to the school saying the child did not belong to the EWS category. “They said the father’s income is more than minimum wage and raised doubts about the income certificate. The school is not an authority to decide. We asked them to write to the authority concerned to verify the authenticity,” Kundu said. But the school said the seat has been carried forward to the next academic session by the Department of Education. “DCPCR has not conducted enquiry of the complainant. It has only passed order against the school,” Bector said. The Directorate of Education (DoE) on Wednesday released the guidelines for nursery admission to private unaided recognised schools under the Economically Weaker Section (EWS)/Disadvantaged Group (DG) category. The admission process will be done through computerised lottery system against the 25 per cent seats reserved for them as per the Right to Education Act (RTE), 2009. All the private schools (except minority schools) were directed to update or correct their neighbourhood criteria — children residing within the 0-3 km radius — by January 15. The schools can also make the required corrections or asked for suggestions at their zonal offices between 10 am to 5 pm by January 18. The admission portal will be open from January 22. A common registration form will available on DoE’s website (www.edudel.nic.in) for parents and schools. Schools also will have to use this form for the admission process. Like last year, the schools have been directed to acknowledge the application through a proper receipt and a unique registration number. In case the application is rejected, the reason must be recorded and communicated to the parents. The DoE will also provide observers for a draw of lots during the admissions. The last date for application is February 21 and the list of selected candidates will be out on March 7, followed by the subsequent lists. According to the DoE’s notification, while those belonging to families with annual income less than Rs 1 lakh can apply under EWS category, the DG applicants will include SC/ST/OBC, children with disability as defined in the Right of Persons with Disability Act, 2016, orphans, transgender and children living with or affected by HIV. A group of parents from the economically weaker section (EWS) claimed that a private school in south Delhi, where their children study, had asked them to pay fees from April next year as the institute cannot extend free education to the children. Parents said that St George’s School in Alaknanda issued them a circular last week informing about the decision of the school, after which they held a protest on Wednesday and also submitted a letter to the Directorate of Education (DoE). Under the Right to Education (RTE) Act, 2009, which was implemented in Delhi in 2011, all private schools were asked to admit students from EWS background on 25% of their seats. But a Supreme Court judgment exempted minority institutes from the ambit of the RTE in 2014. “I am illiterate so I could not read the circular and asked one of my neighbours to read it. I am a driver and I cannot afford to pay so much fees. I will have to withdraw my child if the school insists that I pay the fees. We have written a letter to the DoE,” said the father of the child. Atishi Marlena, advisor to education minister Manish Sisodia, said the DoE will on Thursday issue directions to the school that they can neither charge fee from EWS children nor can they ask them to leave the school. “The children were admitted between 2011 and 2014 before the SC order exempted minority schools from following RTE. Those admitted before will have to be given free education as per RTE,” she said. St George’s School principal Sara George maintained that none of the students will be asked to leave the school and students who are under EWS category will continue to get free education till Class 12. 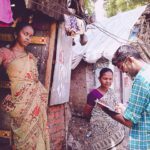 “The circular was only a way to communicate with the parents so that they come to me and I can ask them to submit their latest income certificates. I want to cross check their income certificates so that only those who are actually under EWS get benefit of free education,” she said. She said that she will meet the parents personally and resolve the issue. The Delhi government is yet to announce the schedule and guidelines for nursery admissions in private schools under the economically weaker section (EWS) category, even as the application process under the open seats started on Wednesday. All private unaided recognised schools ,except for minority institutions, have to keep 25% of their total seats reserved for EWS category under the Right to Education (RTE). Children whose parents earn less than Rs 1 lakh a year are eligible for admission under the category. An official from the directorate of education (DoE) said the notification to start the online registration process for EWS category admission will come in second week of January. “We are collecting data from all schools regarding the number of seats under EWS category to finalize the total seats available. We will announce the schedule in January, but broadly it will be same as open category admission schedule. It will end by March 31,” an official handling DoE’s private school branch said. Till last year, nursery admission under EWS category were done online for around 1,100 schools that come under the Delhi School Education Act and Rules (DSEAR), 1973. The rest of the schools recognised under the RTE Act, 2009, conducted admission manually by giving out application forms. However, the DoE official said that this year all 1,700 private schools, are likely to conduct nursery admissions through the online system. This will mean that parents will fill an online application form after which a computerized lottery will be done to allot schools to applicants. “Till last year only those schools which were under DSEAR, 1973, had to do EWS admission through centralized computerised lottery system. But now we are likely to include the rest of the schools in the system to have a uniform process for all schools,” the official said. EWS admissions in nursery classes have been under scanner due to large number of seats remaining vacant. For the last academic year (2017-18) out of the over 27,000 seats under the category, only about 19,000 seats had been filled. New Delhi: The high court judgment on Siddharth International School does much more than just direct a school to admit a disabled child. Activists pointed out that the judgment will have a “far-reaching impact”, can help hundreds of kids and serve as a check on governments interpreting the law in a way that goes against children. The court made several important observations regarding “age-appropriate” class, distance and neighbourhood, and right to education for the disabled. It also said the 25% of EWS/DG ( economically weaker section and disadvantaged groups) quota in private schools benefits the 75% of fee-paying kids by making them “more sensitive and humane”. The original order to admit the child was that of the Motor Accident Claims Tribunal’s. The school challenged it citing several issues, one of which was discrepancies in Priyanshu’s age documents. 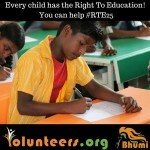 However, after deciding that the school does have a vacant EWS/DG seat, HC observed, “Discrepancy in the date of birth…in the present case is due to poverty, ignorance and backwardness of relatives.” The court further cited the RTE Act that no child will be denied admission “for lack of age proof”. “Sections 8(c) and 12 is for the benefit of the child and meant to ensure that he/she gets access to elementary education, despite any technical difficulties,” said the judgment. The school had also argued there is an “upper-age limit” for admission. Activists appreciated the HC judgment. 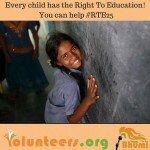 “The court has interpreted the provisions of the RTE Act and it’ll have a far-reaching impact. Its stand on age-appropriate classes is not just for Priyanshu. 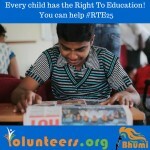 It has also maintained that you can’t interpret any provision of the RTE in a way that goes against a child. This is binding even on governments,” said lawyer-activist Khagesh Jha. The court has even made it possible for children living in Delhi’s border areas to seek admission in its schools. The private school had argued that the boy stayed in Ghaziabad, faraway from the school, and had no means of commute. The DoE’s field visit “confirmed…there is a nearby and direct road from the house to the…school” and the neighbourhood norms were met. “The government itself denies admission to children living across the border. As per this order, only actual distance will count, not state borders,” said Jha. Priyanshu’s leg got amputated below the knee in an accident; his father died a few months later. His mother works in a factory that manufactures plastic spoons. She earns around Rs 5,000-6,000 a month. The Delhi government, for the first time, has threatened to take over a private school due to complaints of violating educational provisions, such as conducting fake admissions under the economically weaker section (EWS) quota and repeated fee hikes under the same. Maxfort School’s branches at Rohini and Pitampura were given “take over” notices by the AAP government after they violated certain provisions of the Delhi School Education (DSE) Act, 1973, and the Right to Education Act (RTE), 2009, said Delhi Education Minister Manish Sisodia,according to an HT report. “We have initiated the process of taking over the two branches of Maxfort School as an action against the recalcitrant private school. Action was initiated following complaints from parents and teachers,” said Sisodia. The prospective taking over of the school management by the Delhi government in around two week’s time is being cheered by parents, who had filed complaints with Sisodia last year regarding the school’s fake EWS admissions, tax evasion and harassment by tampering with the official records. “This is a good start and raises the hopes of thousand of parents. We are confident that if the government takes over, the school will run better,” said Satish Arora, whose son studies in Class 4 at Maxfort’s Rohini branch. The Maxfort School management, comprising the Chadha Educational Society and S Jagat Singh Chadha Charitable Trust called the move illegal and promised to challenge it in court. “This is highly unfortunate and illegal. When the DoE already conducted an inquiry and stated the fee hike was justifiable and stated in court, how can the government now take action?” said a member of the school management committee. The AAP government, since coming to power in February 2015, has been focusing on the education sector and is trying to bring about reforms in the workings of the city schools. It has come under the eye of critics for allegedly infringing the autonomy of private institutions. The Delhi government may take over two branches of a private city school in an unprecedented move after complaints of repeated fee hikes and fake admissions under the economically weaker section (EWS) quota. City education minister Manish Sisodia said the government sent “take over” notices to the Rohini and Pitampura branches of Maxfort School for violating provisions of the Delhi School Education (DSE) Act, 1973, and the Right to Education Act (RTE), 2009. In two weeks, the Aam Aadmi Party (AAP) government will take over the management of the schools — where around 3,000 students study — if their response is found unsatisfactory. “We have initiated the process of taking over the two branches of Maxfort School as an action against recalcitrant private school. Action was initiated following complaints from parents and teachers,” said Sisodia. This is the first time the city government has threatened to take over a private school. The move was cheered by parents, who filed a complaint with Sisodia last year alleging harassment, fake EWS admissions and tax evasion through manipulation of official records. “This is a good start and raises the hopes of thousand of parents. We are confident that if government takes over, the school will run better,” said Satish Arora, whose son studies in Class 4 of Maxfort’s Rohini branch. The management of Maxfort School — that has two other branches in Delhi — termed the move illegal. An inquiry set up by Sisodia under the directorate of education (DoE) and district magistrate (north-west) found the schools were violating the RTE as admissions under the EWS/disadvantaged group was far below the stipulated 25% of total strength. The schools also failed to maintain service books and personal files of teachers and didn’t furnish details relating to staff salary statements and attendance registers, the report said. The probe found the school collected capitation fee — which is unlawful — and its management violated section 24 of the DSE act that makes it mandatory for every school to be inspected at least once annually. HT had reported on July 13 last year about the inquiry. But the private school — that is managed by the Chadha Educational Society and S Jagat Singh Chadha Charitable Trust — said if the government planned to take over the institution, they will challenge the move in court. “This is highly unfortunate and illegal. When the DoE already conducted an inquiry and stated the fee hike was justifiable and stated in court, how can the government now take action?” said a school management committee member. Since coming to power in February 2015, the AAP government has focused on education and promised a set of highprofile reforms in city schools. It devoted the largest chunk of the city budget to education and identified 54 government schools to be developed as models with high-tech equipment and special training for teachers. But several such education initiatives have triggered controversy with critics saying the AAP government was infringing the autonomy of private institutions. In January, the Delhi high court scrapped a city government notice that outlawed management quota for nursery admission in private unaided schools. New Delhi, April 6 (IANS) The National Commission for Protection of Child Rights (NCPCR) on Wednesday said benefits of the Right to Education (RTE) Act should also be extended to children in the age group of three to six years. The commission had organised seminars seeking suggestions from state governments to re-engage ‘Out of the School Children’ back to mainstream education. “Various stakeholders who participated in the consultation process with NCPCR were of the view that 3-6 year-old children should be brought under the RTE Act,” said a statement released by the commission on Thursday. Backing the demand, NCPCR chairperson Stuti Kacker said the commission will define ‘Out of the School Children’, while preparing a report highlighting the reasons and situations which compelled them to move out of school. “A capsule course would be developed by the Commission for children whose positions remain unattended under the existing laws. The nation is losing precious human resources as children who could not attend school often indulge in crimes and tend to live on streets. This retorts them to begging most of the time,” Kacker said. She said technology must be used to bring street children back to school and they must be imparted skill-based education. Commission member Rupa Kapoor said NCPCR was in the process of drafting a Standard Operating Procedure for street children and views of state governments would be incorporated. Another member Yashwant Jain cited the example of Chhattisgarh where ‘Out of the School Children’ in Maoist-affected areas have been placed in schools though residential hostels programme. The Delhi Commission for Protection of Child Rights (DCPCR) Tuesday presented its annual report on complaints filed under the Right to Education (RTE) Act, ranging from corporal punishment, sexual harassment of children, denial of admission and other similar complaints. In the year 2014-15, the DCPCR processed 195 cases under the RTE of which 175 cases have been disposed off. The remaining 20 are being looked into, says the report. A majority of cases under the act pertain to denial of admission to children in neighbourhood schools. Thirty-one such cases were reported in the year 2014-15. 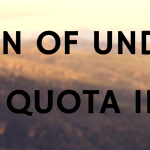 However, denial of admission under EWS quota education is the highest — 32 cases were reported last year. This is followed by mental harassment of students. “There are 19 cases of children subjected to mental harassment,” states the report. The commission also recorded that some Delhi schools still resort to corporal punishment. “Fifteen such cases were reported in the year in which the commission had to intervene,” stated the report. Cases of injury/death of child in schools have also been reported, and a total 11 such cases were attended to. The commission also claims to have received four cases of sexual harassment/assault/molestation of children in school. The remaining complaints are related to lack of basic amenities, denial of entitlements such as uniforms, books and stationary, no special educators in schools, security and safety of children, corrections in school records, holding interaction or entrance test of parents, lack of teachers in schools. Organisations representing parents have exhorted the state education ministry to implement strict norms on private schools on the lines of what the Delhi government had done to implement the Right to Education Act. The organisations have said that strict implementation of the RTE Act and other laws would curb the commercialisation of education being done by private schools. Welcoming the warning to private schools by Mr Sisodia, Jayant Jain, president of Forum for Fairness in Education and Sudhir Paranjpe of Anudanit Shiksha Bachao Samiti said that education minister Vinod Tawde should take a lesson from Mr Sisodia and show the will to implement existing laws. “Mr Tawde is giving a bad name to the government by allowing private school managements to get away with profiteering. Apart from the RTE Act, there are many other laws that have been framed to curb profiteering and exploitation of the students and their parents, but Mr Tawde has so far not used any of them to get private school managements to toe the line; rather he tells parents to go to court. What is the point of having a minister who is not willing to use the laws at his disposal to give justice to aggrieved parents and students? We need to have a minister like Mr Sisodia who is willing to take on the private school managements head on,” said Mr Jain. Mr Paranjpe concurred with Mr Jain’s views and said that the lack of will on the part of the government to crack the whip on private school managements was indicative of a nexus between the government and the managements. “The RTE Act explicitly mentions reserving 25 per cent seats for financially weaker sections of society in private schools as these schools have received subsidies and freebies from the government. However, they are refusing and the government is doing nothing about it. Not only Mr Tawde but even chief minister Devendra Fadnavis is responsible for the current high-handedness of private school managements,” said Mr Paranjpe, adding that Mr Sisodia was able to issue a warning to the private school managements because he had no nexus with them.